ok, what is better than cookies? what about CANDY in cookies? 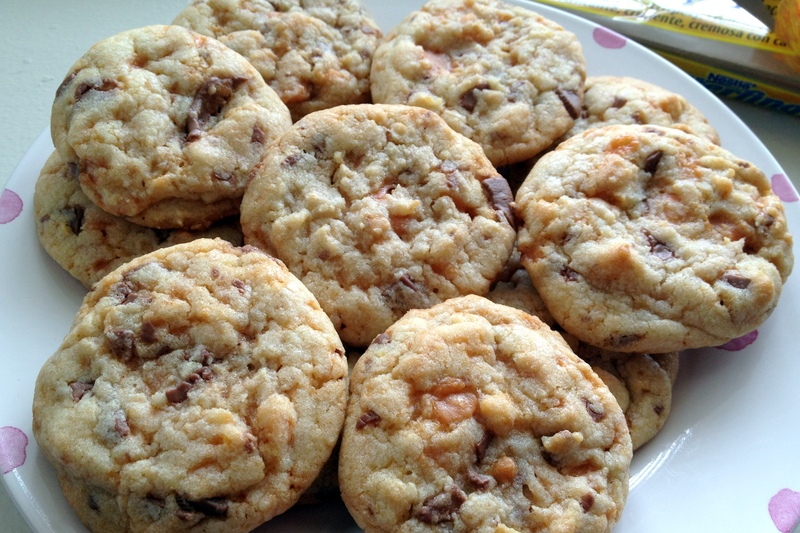 and what if this candy cookie recipe is the eeeeeasiest cookie recipe you’ll ever make? consider yourself lucky because you’ve come to the right place! 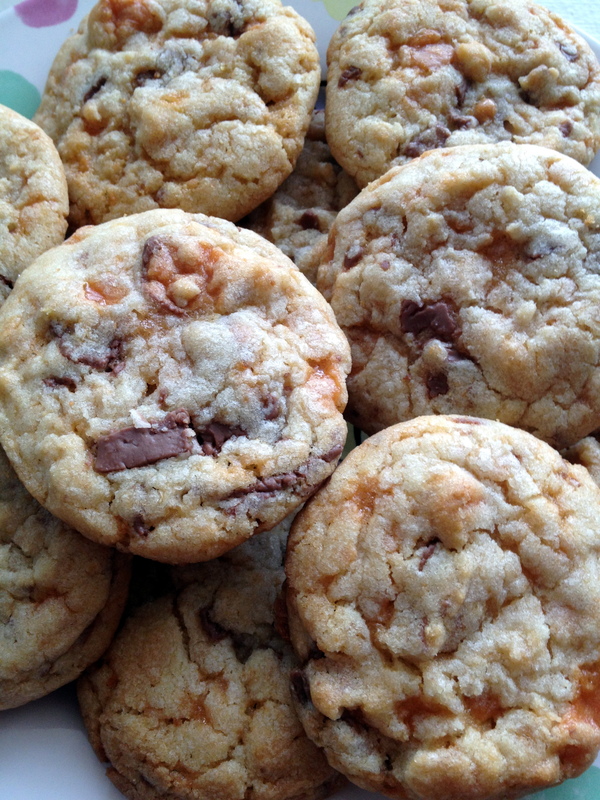 these chewy butterfinger cookies are super simple, using a basic drop cookie recipe (with a very small ingredient list!) and adding in chopped butterfingers. 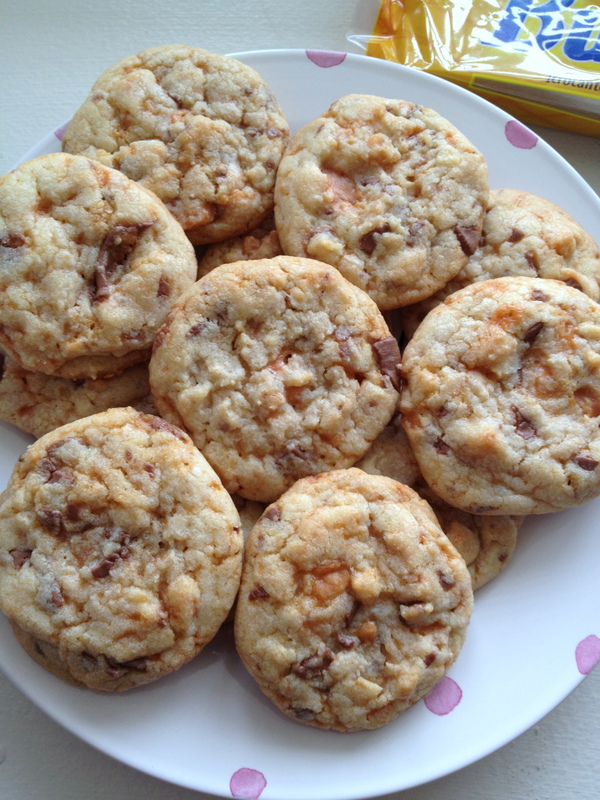 the butterfinger pieces melt within the cookies while baking and taste absolutely incredible right out of the oven. Gradually beat in flour mixture. Stir in butterfinger pieces by hand. Drop by slightly rounded tablespoonfuls onto ungreased baking sheet. Bake for 10-12 minutes or until lightly browned. Allow to cool and enjoy! !